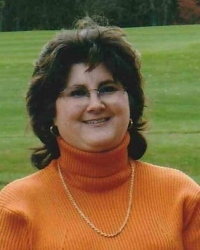 Sheryl Lynn Robinson, 61, of South Zanesville passed at 4:00 A.M. on Wednesday, July 25, 2018 at her home. She was born on Saturday, March 16, 1957 in Zanesville, Ohio the daughter of William L. and Marilyn Huey Smith. Sheryl graduated from Tri Valley High School in 1975. She enjoyed spending time with family, especially her grandchildren. In addition to her parents Sheryl was preceded in death by an infant son, Dustin Michael Robinson; a brother Gary Smith; an uncle Gerald Huey; aunts Reba Sims, Mae Puckett, and Vivian Hale. Home where service will be held at 11:00 A.M. on Monday, July 30, 2018 with Pastor Bobby Shaw officiating. Burial will conclude at the St. Paul Cemetery, Sonora. The Bryan & Hardwick Funeral Home, 2318 Maple Ave. Zanesville is in charge of the arrangements. To share memories and condolences with Sheryl’s family please visit www.BryanHardwickFH.com.